Calling all volunteers! 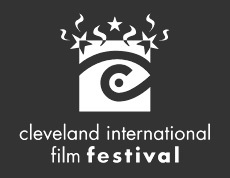 The 36th Cleveland International Film Festival is looking for enthusiastic individuals (age 18 and over) to be part of our volunteer team. With a variety of shifts and tasks that are available, we think you'll find the perfect fit and we know you'll have a great time while helping us out. We also offer free parking (when avaiilable) during your shifts, a CIFF volunteer t-shirt, and CIFF film vouchers in exchange for your help! If you'd like to participate, please sign up on our volunteer database by clicking HERE.